Has your vehicle broken down leaving you Stranded? We come to you, to help you get back on the road! 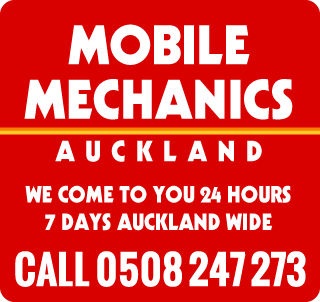 Auckland Mobile Mechanics Emergency Breakdown are available 24/7. We come to you. Servicing Auckland wide and Franklin districts saving you time. Your mobile mechanic breakdown service 24/7 that’s fully equipped straight to your location helping you stay on the road. We have the latest Diagnostic scan tools available to quickly and efficently find problems and solutions to most vehicle concerns! Should you require a battery, our Mobile battery service come to you, with a wide range of batteries and testers to ensure you have the right battery for your car! Contact us for a quick quote: Call 0508 247 273 (0508 Breakdown) for all Towing and Roadside Assistance Auckland Wide! Our Coupon for Winter Specials for 2016! © Copyright 2019 - . All Rights Reserved.